A 55-year-old Lakeview man who was shot in the chest during an altercation at Halsted and Oakdale last Thursday morning has died, according to the Cook County Medical Examiner's Office. Lazane Clark was shot by a 67-year-old suburban man around 11AM on February 4. Clark died Wednesday evening at Illinois Masonic Medical Center. The shooter, who has a concealed carry license according to police, was taken into custody for questioning and released. Last Friday, Chicago police said that the shooter had been charged with aggravated battery with a firearm. The department subsequently apologized for the "issues" and said the man had been released without being charged. Clark was well-known to many people who live near or frequent the area of Clark's apartment in the 2900 block of N. Halsted. 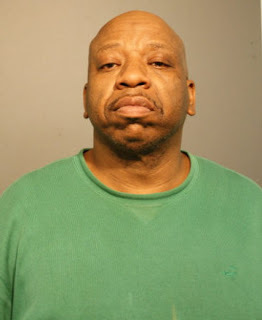 Two years ago, Clark was charged with aggravated intimidation by a gang member after he allegedly threatened to have an executive at the Reproductive Genetics Institute killed over a dispute involving damage that Clark's car suffered while parked in the firm's lot at 2825 N. Halsted. Clark pleaded guilty and was sentenced to two years of intensive probation and was ordered to undergo anger management courses, court records show. In 2001, a suburban car salesman was charged with solicitation of murder for hire in a scheme that would have allegedly paid Clark $2,000. After allegedly receiving a $1,000 down-payment, Clark got arrested on an unrelated narcotics charge and decided to tell cops about the purported murder plan.